Revitol Skin Brightener Cream Review: Ingredients, Side Effects, Detailed Review And More. What is Revitol Skin Brightener Cream? Founded in 2002, Revitol Natural Skin Care, a natural skincare distributor and member of the Natural Products Association, has become a trusted name in the health and beauty industry known for their dedication to the development of “safe and effective products that help people supplement their lives.” Take the innovation of nutritional science and coupling it with the best ingredients the world has to offer, Revitol strives to honor its mission “To deliver the highest quality health and beauty products with the best value to our customers”. Exhibiting its roots in safe skincare, the website boasts a green and flesh colored landscape, with lotus flowers and a fresh face of a green-eyed beauty. Underneath the banner line which consists of a link to the About Us, FAQs, Contact pages and the shopping cart, sits two boxes. The first on the left contains our simple beauty and the menu bar leading visitors to anti-aging products, acne treatments, cellulite solutions, stretch mark prevention, hair removal products, Revitol Skin Brightener Cream and a skin exfoliator product pages. Providing products that attack the skin’s specific problems, Revitol’s products don’t appear to compete with any exist basic skincare regimen. Proclaiming itself as an herbal alternative to gaining bright, even skin toned, Revitol Skin Brightener Cream is the answer to the hormonal and the environmental toll aging puts the skin through Safe and natural, Revitol Skin Brightener Cream uses plant-based ingredients, natural moisturizing agents and vitamins to lessen the appearance of freckles, liver spots, and hyperpigmentation. More specifically, Revitol Skin Brightener Cream includes Arbutin, Lumiskin, Shea Butter, Allantoin, Evening Primrose oil, Grapefruit Seed extract and Vitamin A, C and E. However it may cause skin rash. Priced at $39.95 for the two ounce jar with options for bulk purchase discounts, reviews for Revitol Skin Brightener Cream were nearly non-existent with the abundance of affiliate pages cluttering the Internet site; however, message board comments were positive. 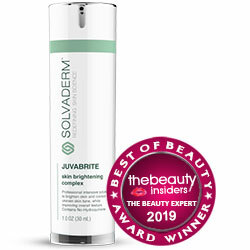 What are the Ingredients in Revitol Skin Brightener Cream? Arbutin: It is a powerful antioxidant extracted from the bearberry plant that is mainly responsible for lightening the dark areas of your skin. Lumiskin: It helps illuminate your skin by inhibiting “Tryosinase”, a hormone that is responsible for the dark pigmentation is one’s skin. Shea Butter: These is for soothing, nourishing and moisturizing skin so that it will return to its natural, healthy state after treatment. It also reduces skin Inflammation. However it causes Itchy rashes on skin. 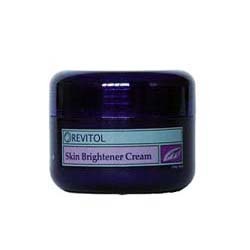 Revitol Skin Brightener Cream is a natural skin-lightening alternative but may cause skin rash. Reviews and message board comments were generally positive for Revitol Skin Brightener Cream. Revitol Skin Brightener Cream is reasonably priced and offers bulk purchase discounts. Revitol manufactures products that target the skin problems aging causes. In existence for 6 years, Revitol doesn’t possess long industry standing. No research data exists to support claims of effectiveness for Revitol Skin Brightener Cream. Revitol doesn’t offer a full skincare line. Tackling the various problems aging causes for the skin, Revitol is geared toward providing a natural avenue in which skin health does not have to be a product of its environment. Only in existence for six years and with little research data and testimonials to support the brand, this product may require a wait-and-see approach. However, for those seeking to find the next big thing in natural skin repair, the $39.95 Revitol Skin Brightener Cream isn’t a terrible price to pay for experimentation.